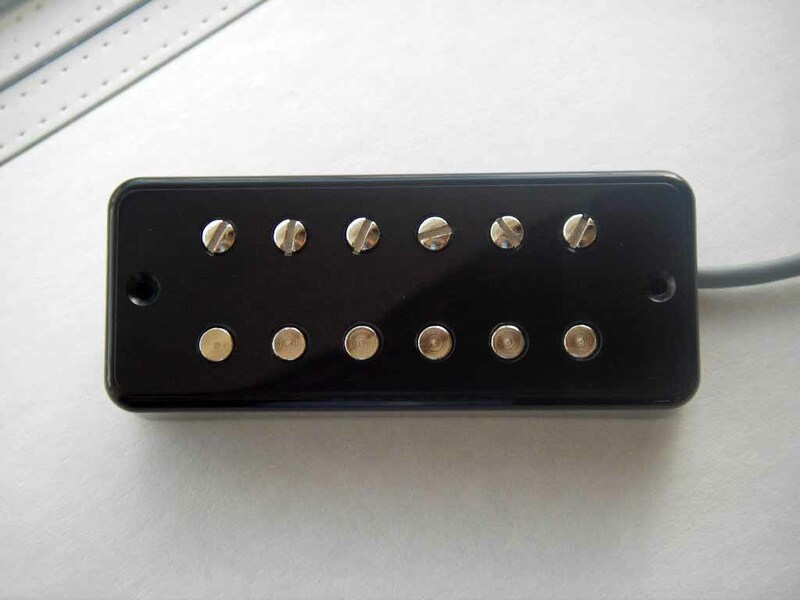 A humbucker pickup in P-90 soapbar size. The sound is "singlecoilish" clear and warm. 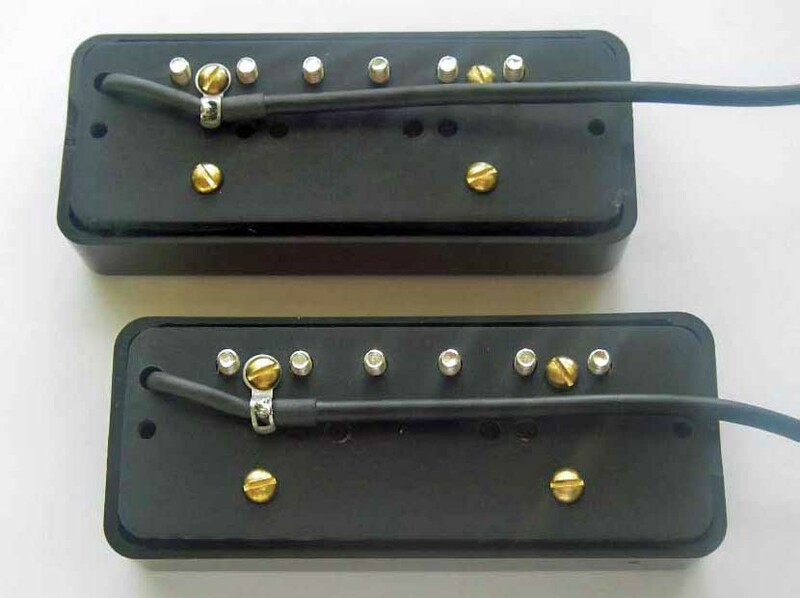 Something between a mini humbucker and a full size humbucker. Works well both clean and dirty. 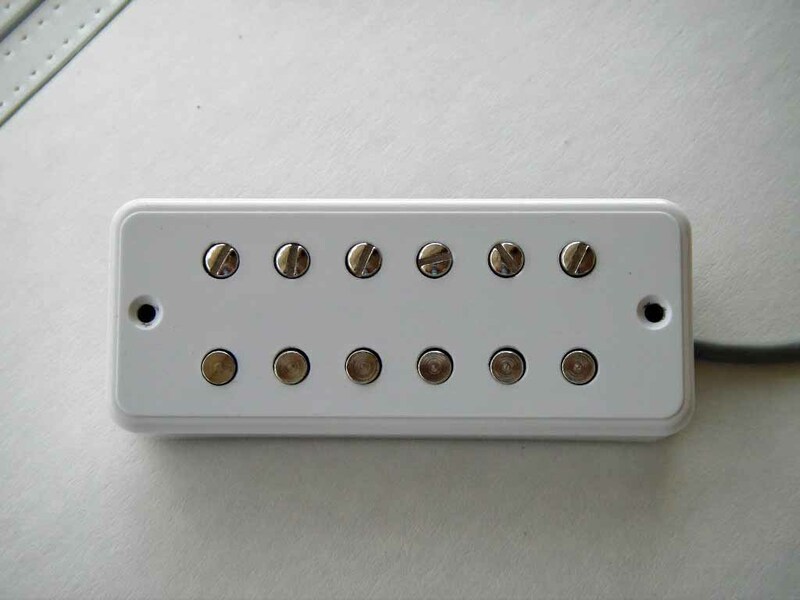 Alnico5 bar magnet. Four conductor shielded wire. 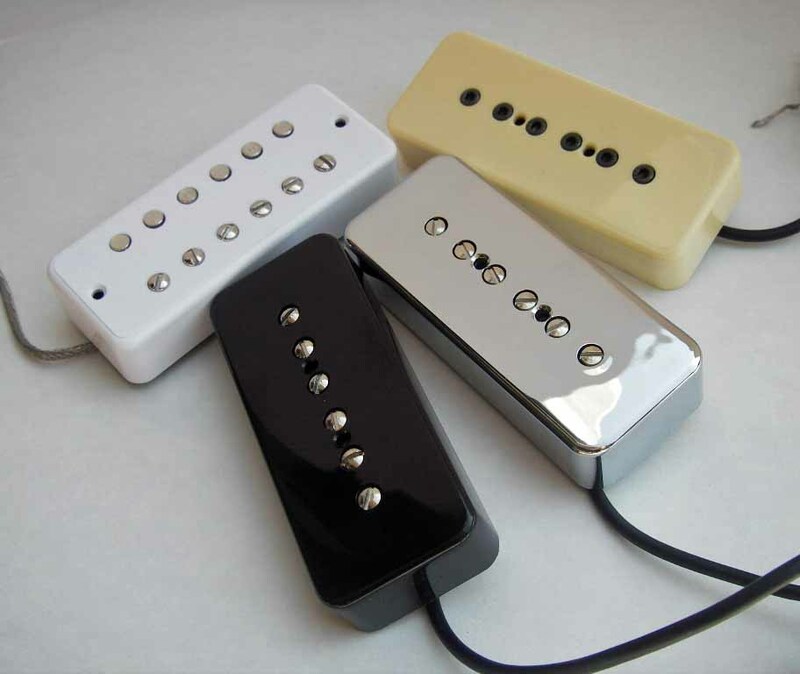 Cover colors: Black, white or cream. Mounting screw spacing (screw to screw): 74 mm. Pole piece spacing: 50 mm and 52 mm.